In the summer of 2017 Crystal Jonkman was honored to be named GRCC Artistic Director, and looks forward to carrying on the GRCC mission. Crystal joined the staff as Associate Director in 2012, to work primarily with the Concert Choir, but also rehearsed and performed with the other GRCC choirs many times over the last five years. She participated in the 2014 New York City and Montreal Tour, and the 2016 Germany Tour, during which she gave a well-received organ performance at the renowned St. Thomas Church in Leipzig, where J.S. Bach was the music director for 27 years. An active, award winning organist, and pianist, Crystal is also the Director of Liturgical Music and Organist at St. Michael's Episcopal Church in Bon Air, a position she has held since 1994. In her many years of directing music in the church setting, Crystal has enjoyed training many young singers within the choral setting. Several of these choristers have participated in the Royal School of Church Music in America training courses. Two of the choristers have continued on as proctors for the Carolina Course. As an organist, Crystal has successfully competed nationally and internationally, winning The Chicago Club of Women Organists Competition in 1989, and competing as a semi-finalist in the Dublin International Organ Competition in 1996. She earned a Masters degree in Church Music/Organ and Choral Conducting from Northwestern University and a Bachelor of Arts degree from Calvin College. Crystal is active in the Royal School of Church Music in America, the Hymn Society of the United States and Canada, the Anglican Association of Musicians and the American Guild of Organists. Anne Williford joined GRCC in 2001 and handles the day to day operations of the choirs, as well as fundraising for the organization. She holds an undergraduate degree from the University of Virginia and an MBA from the University of Michigan and has a background in banking and volunteer work. Both of her daughters have sung with GRCC and each graduated from the program having sung with it for seven and nine years respectively, and her son sang for four years, one year in each of the choir levels. 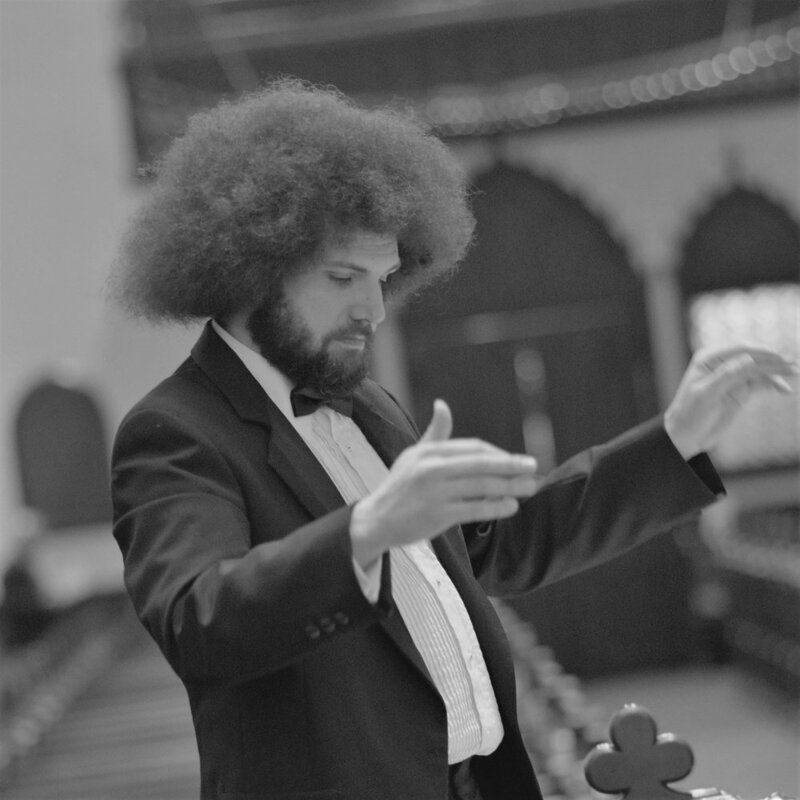 Assistant Music Director Pete Curry is a pianist/composer/songwriter/producer originally from Philadelphia PA who is in his eighth season with GRCC. He studied Jazz Piano at the Maynard Ferguson Institute in Glassboro, NJ, and classical piano and composition at Virginia Commonwealth University. Besides accompanying the choir in various styles on piano, guitar, and percussion, he has also contributed original compositions - his setting of Langston Hughes’ poem “Heaven” composed for the GRCC entry level Treble Choir in 2011 and his arrangement of “When You’re Smiling” for the Cantare Choir’s tour to England and Ghana in 2012 have been favorites among choristers and audiences. Among the many 'hats' he has worn in his work with GRCC also include starring as Alcindoro in a stage production of La Boheme and conducting Iolanthe, both in collaboration with Capitol Opera Richmond. He has sung tenor for St. Paul's Episcopal Church, Grace and Holy Trinity Episcopal Church, and currently sings with St. Michael's Episcopal Church in Bon Air. Besides Pete's work as a classical performer and educator, he also has appeared and continues to appear in numerous live and recording projects, solo and collaborative, in pop, rock n roll, electronic, and country genres in Richmond as well as his hometown of Philadelphia, PA. Among his current projects, his electronic alias FM Skyline is quickly growing in popularity, having sold out of physical copies for his four releases nationally and internationally, he co-owns an independent record label called Crystal Pistol Records based here in Richmond which has helped 20+ local artists get their music out to the world, and he currently plays bass with songwriter Saw Black with whom he is headed down to Austin TX this year to perform in the South by Southwest festival. Tiffany Cook is a Chesterfield County native who has spent her entire life engaging in activities that fulfilled her passion for music. After singing throughout middle and high school, she received her Bachelor's Degree in Music (BM) and Master of Arts in Teaching (MAT) Degree from Christopher Newport University. From singing semi-professionally for several seasons with the Richmond Symphony Chorus to her current position teaching choir and orchestra in Henrico County, she has been able to experience making and directing music with people of all ages in our community. Tiffany has also had the wonderful opportunity to adjudicate for many district choral assessments and district choirs surrounding the Richmond area. Currently, she also serves as the soprano section leader for St. Michael's Episcopal Church Gallery Choir in Bon Air, VA. This will be Tiffany’s fourth season working with the Greater Richmond Children’s Choir, and her second year serving as the Treble Choir director, and is so excited for another year of music making with the GRCC choir members! Hope Armstrong Erb is an active conductor, pianist, composer, teacher and lecturer, and has performed in the United States, Europe, and China. Critics have proclaimed her "a wonder" in her ability to maintain a high standard in both performance and teaching. Hope is equally enthusiastic performing music from ancient to modern and continually expands the diversity of her concert repertoire through research, composition, and collaboration with composers and performing artists locally and globally. With the aid of native speakers she has coached her singers to perform in over 40 different languages. Hope takes great joy in nurturing top singers to achieve a level of musicianship comparable with the best singers anywhere, and to that end has received the highest honor in American choral music performance by being selected to perform at National and Regional ACDA conventions. Equally rewarding has been her enormous success in teaching “non-singers” to match pitch, read music and sing in harmony, many of whom have eventually progressed to the top choirs. Hope presented an interest session at the 2008 Southern Division ACDA Convention in Louisville, Kentucky entitled: “NOBODY’S HOPELESS! Everyone can learn to sing!” and she works continually proving it is so! In 2007-9 she served as the Virginia ACDA Repertoire and Standards Chair for Children’s Choirs, and delighted John Rutter in her preparation of the Voices United Children’s Honor Choir for a performance of his Mass of the Children. Hope has served on the faculty at Virginia Commonwealth University and the University of Richmond and has taught in public and private schools, K-12 including over 20 years working primarily with middle and high school boys. At home, she maintains a private studio where she offers lessons in piano and theory, as well as vocal and instrumental coaching and accompanying. She is an active member of the Richmond Music Teachers Association and co-chair of the VMTA theory testing held annually at VCU. She has presented on a wide range of topics from the boy’s changing voice to classic sonata form to teaching a Chinese choir jazz style, and has given numerous lecture recitals related to history and art exhibits in venues such as the VA Museum of Fine Arts. As a pianist, Hope has been hailed for her “innate musicianship and graceful style” as well as her “robust, rhythmic, and excellent playing.” In great demand as a chamber musician and coach with instrumentalists and singers, Hope has performed over the years with numerous professional musicians including members of the Richmond Symphony and the Shanghai Quartet. Her sightreading, musicianship, and technical and pedagogical skills combine to make her a pianist of choice for recitals, competitions, and recordings.